A patent application made to the World Intellectual Property Organization (WIPO) has been found that shows an electronic device consisting of two smartphones being linked magnetically. The patent, which was published on January 3, was originally filed by Samsung. 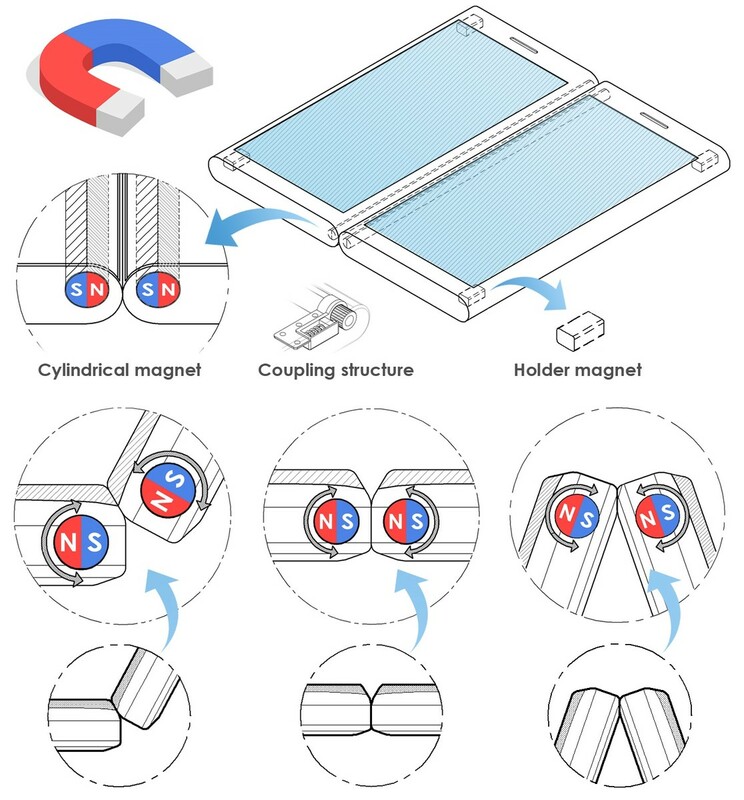 The smartphone parts would contain holder magnets and a cylindrical magnet, allowing users to connect them for activities such as video-watching and gaming. LetsGoDigital has published details about a WIPO patent application made by Samsung. The text of the filing, which is titled “electronic device having two display devices and method of operating screen thereof,” basically describes a gadget that can be divided into two smartphone-like devices and then reconnected through the utilization of magnets. Drawings included with the filing clearly show the interesting idea some of the designers at Samsung had. 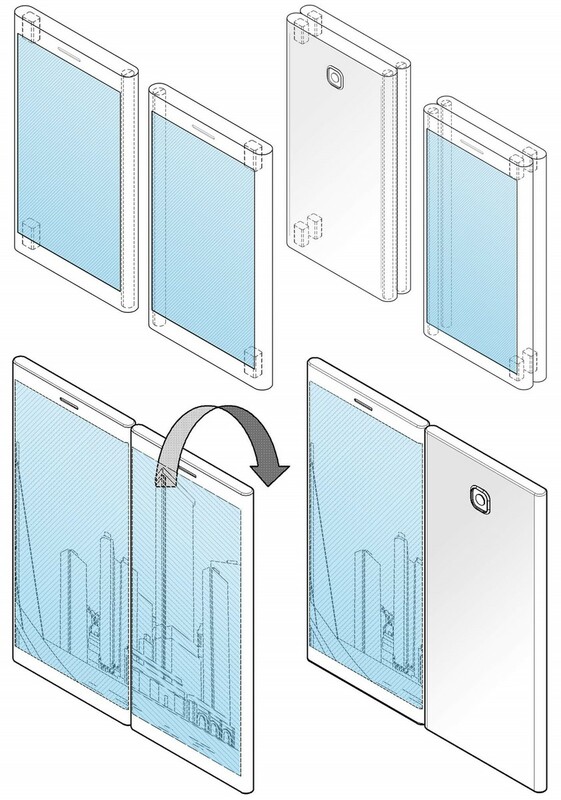 When the device is linked, it looks similar to a folding phablet/tablet. The two parts are linked together by a cylindrical magnet running up the side of each housing. There are also two holder magnets in the corners of the opposite side of the cylindrical magnet so the device can be folded back on itself. 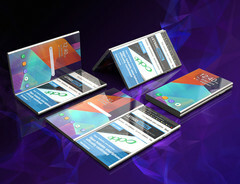 The device can be used as a dual-screen gadget so two people can watch different media at the same time, or it can be used in a full-screen manner. Both parts of the device contain a processor, so they can be used independently. 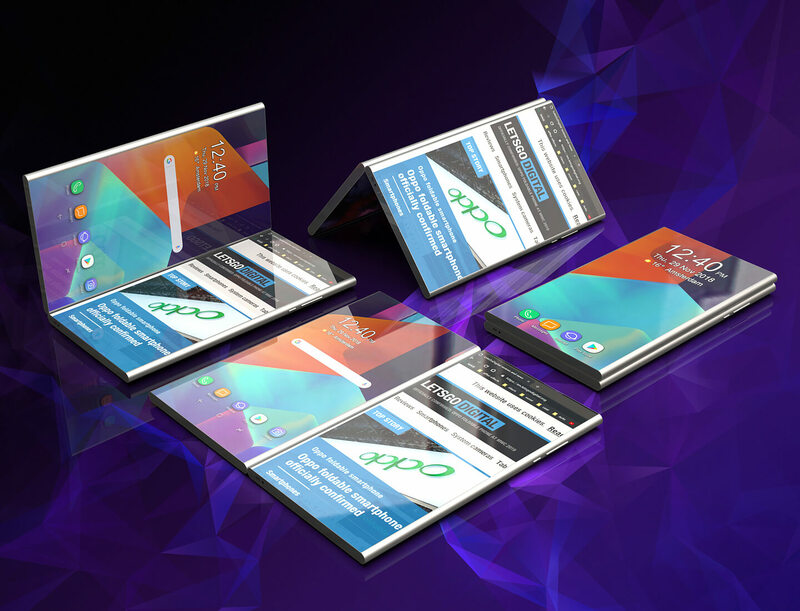 Because the “smartphone” parts are linked by magnets, they can be utilized in a multitude of ways, thus giving users a variety of options for viewing videos, taking photos, and playing games.